USER SCORE:70%The percentage of users who liked this based on high quality reviews from sources such as Google Play, iTunes, and Amazon Music. Above 75% is green. ? This Land is the fourth studio album by Gary Clark, Jr., released by Warner Bros. Records on March 1, 2019. 1. This Land5:41Gary Clark Jr.
2. What About Us4:30Gary Clark Jr.
3. I Got My Eyes on You (Locked & Loaded)5:11Gary Clark Jr.
4. 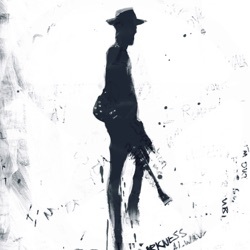 I Walk Alone3:44Gary Clark Jr.
5. Feelin' Like a Million3:34Gary Clark Jr.
6. Gotta Get Into Something3:04Gary Clark Jr.
7. Got to Get Up2:37Gary Clark Jr.
8. Feed the Babies4:46Gary Clark Jr.
9. Pearl Cadillac5:05Gary Clark Jr.
10. When I'm Gone3:48Gary Clark Jr.
11. The Guitar Man4:26Gary Clark Jr.
12. Low Down Rolling Stone4:18Gary Clark Jr.
13. The Governor2:21Gary Clark Jr.
14. Don't Wait Til Tomorrow4:05Gary Clark Jr.
15. Dirty Dishes Blues5:03Gary Clark Jr.
16. Highway 71 (Bonus Track)3:31Gary Clark Jr.
17. Did Dat (Bonus Track)6:42Gary Clark Jr. This Land comes across as a cohesive statement. Gary Clark Jr. has created a colorful album with "This Land". Clark has succeeded in making the best album of his career. What “This Land” does indicate is how Clark no longer feels restricted by the confining dictates of modern blues. Well-balanced, multicolored and interesting arrangements. Gary Clark Jr. proves that he has more on his mind than tunes from the last century, and delivers a highly divers collection of music. This Land is a triumph for Clark and a quantum leap forward for the blues. This Land might not be a huge success. Some parts of the 16-song album are cheesy ("Feeling Like a Million"), too lyrically aggressive ("This Land"), or lacking innovation ("Low Down Rolling Stone"). Gary Clark Jr. pampers us with his well-known guitar sound, but surprises with a more mature songwriting and the subtle use of divergent (modern) influences. Gary Clark Jr. simultaneously explores a variety of modern American music and the complexity of modern America. This Land features some of Clark’s strongest work to date. With This Land Clark was determined to make a lasting piece of art. It’s a crucial stride for an artist who’s long been searching for direction. Gary Clark Jr. has put together one of his most cohesive albums to date with This Land. Through his fluid interactions with accompanying musicians, the guitarist/vocalist/composer illuminates another vivid set of original songs like “What About Us,” often including co-producer Jacob Sciba. An inventory wrapped in a virtuoso mix of rock, blues, soul and R & B, in which Gary Clark Jr. relentlessly reveals what's wrong with his world. “This Land,” does what none of the 35-year-old singer-guitarist’s albums have in the past: it puts his mouth where his ax is. Gary delivers an impressive musical range that incorporates punk, soul and even hip-hop. This Land is a sprawling masterwork, the sound of Clark cementing his role as a 21st century ambassador of roots music. This Land is 100% percent one of Gary Clark Jr’s best albums, in part, because you feel his spirit. This Land is an artistic statement aimed at transforming his image from an Austin blues artist to a rock and roll prophet with something to say about living in America. Like his previous albums, “This Land” is a bit all over the place. His songwriting has caught up with his playing. It’s a career-making album that will introduce Clark to all sorts of new music fans. Can't Can't write a album review based on one song - thus 3 stars... But what is even more interesting then Mr. Clark's change in his sound and musical direction is the thin skinned comments from itunes raters. Ever consider the lyrics refect the real world experience of the artist? Perhaps the negitive reaction has something to do with exposing uncomfortable truths ? Gary Clark has been around enough to produce, sing, play whatever he pleases. Boy, talk about "snowflakes" ? Powerful indictment of America "This Land" is a not a easy song to listen to. In fact, it's downright harsh and strident on the ears. But that's the point. These last two years have been soul crushing with anyone with a heart, mind and soul. It's time America is woke. "This Land" is a clarion call for a just society. Return if the Real Everything you played this past Years on tour was amazing. And this single if 🔥 So go head and claim it brother.